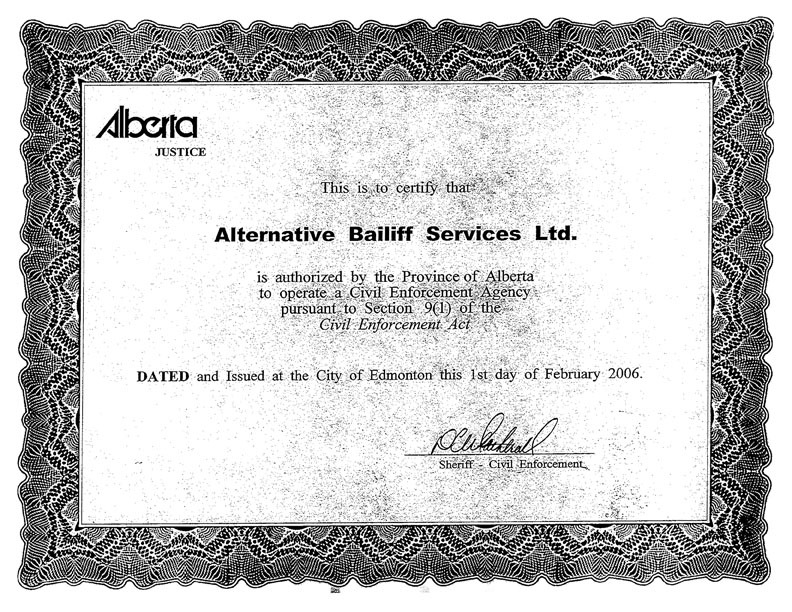 Personal Property Security Act Seizure | Alternative Bailiff Services Ltd. The enforcement rights of a secured party are established by the Personal Property Security Act. On default, the secured party has the right to take possession of the collateral or otherwise enforce the security agreement by any method permitted by law. 2 A settlement may be made at the time of seizure that is agreeable to both the Instructing Party and the Debtor. 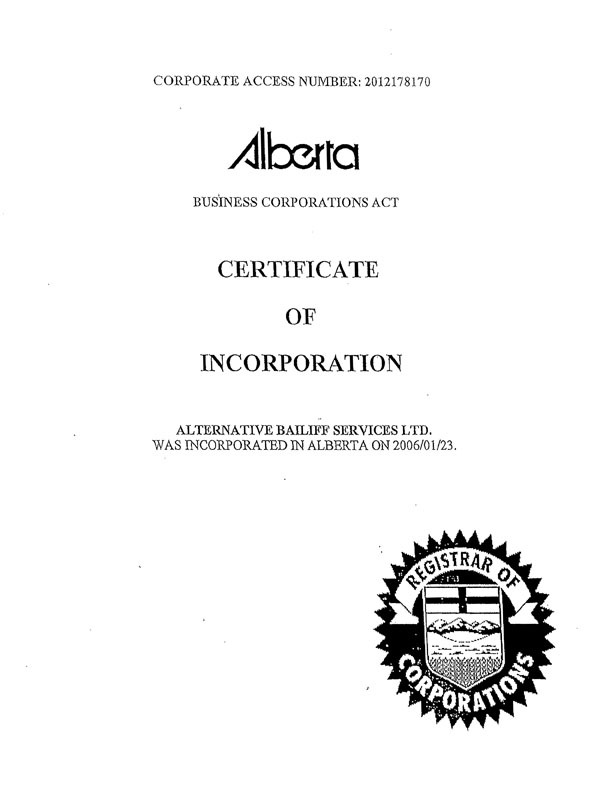 The settlement may be in the form of cash, certified cheque, bank draft, or money order unless the Instructing Party agrees otherwise. The Warrant is the document which provides the direction and authority to seize the personal property of the Debtor identified in the security agreement. 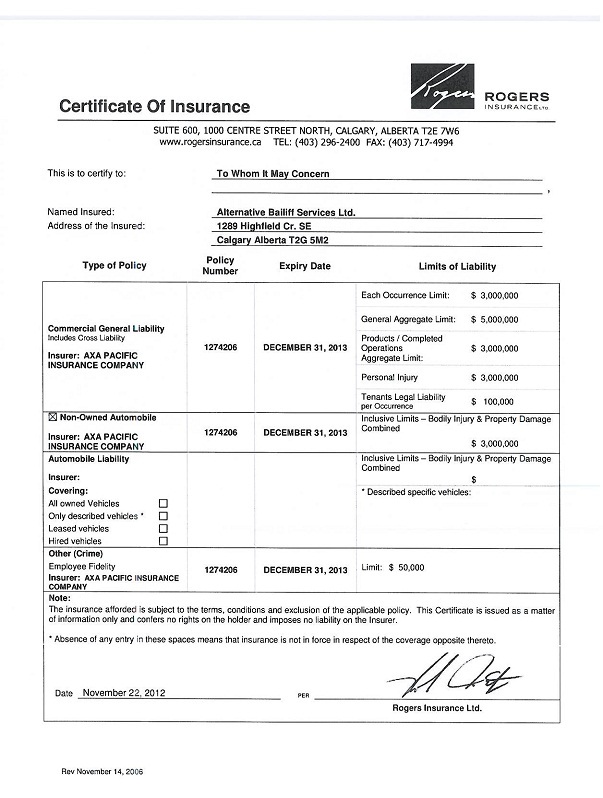 It must be completed and signed by the Instructing Party and must be given to the Civil Enforcement Agency. These are the instructions to the Civil Enforcement Agency from the Instructing Party. It should note any urgency or unusual circumstances, whether removal of the property is required, a form of indemnification , or whether the debtor is aware of any legal impediments to seizure.